The album's got trumpeter Kenny Wheeler as the leader, but the sound here is equally resonant with contributions from all members of the group – including the amazing John Taylor on piano, with Mike Brecker on tenor, David Holland on bass, and Jack DeJohnette on drums! 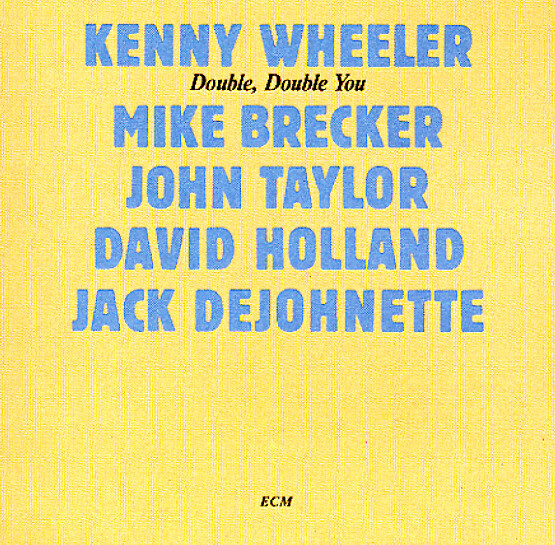 The record's the kind of small group set that seems to embrace all the larger formations that Wheeler worked with earlier in his career – balancing a sense of individualism and larger sonic majesty in a perfect way – really giving Taylor the right sort of setting to unfurl with all his best imagination, and allowing Brecker to remind the world that he's still got plenty of sharper jazz chops away from the world of fusion. Titles include "Foxy Trot", "Ma Bel", "Three For D'Reen/Blue For Lou/Mark Time", and "WW". © 1996-2019, Dusty Groove, Inc.